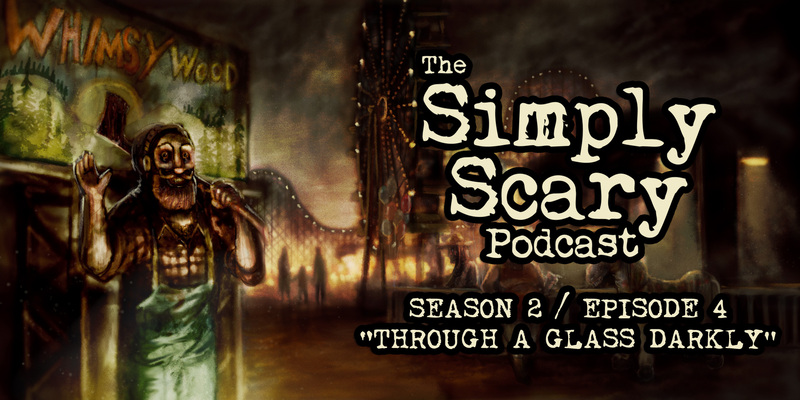 Welcome to Season 2, Episode 4 of The Simply Scary Podcast. This episode of our program is hosted by G.M. Danielson. “Hi There, Sweetie” written by Michael Johnston and performed by Jason Hill, featuring Eden and Melissa Exelberth. Production and score by Ronnie Dickison. To awaken to something lingering at the foot of your bed is bad enough, but when that shadowy thing will not go away, a word of advice: don’t close your eyes. “Teeny-Tiny” written by Max Aaron of UnsettlingStories.com and performed by Jordan Lester. Production and score by Ronnie Dickison. 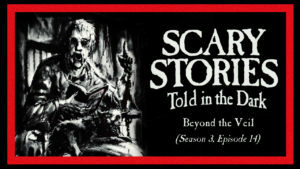 This tale takes you into the twisting mind of disturbed youth, where perceptual dysmorphia instigates a desperately dangerous risk and horrifying consequences. Be warned, this story contains disturbing subject matter and may illicit uneasy reactions. “Whimsywood” written by Christopher “Slimebeast” Wolf and performed by Nick Goroff, featuring the Simply Scary Podcast cast. Production and score by Jesse Cornett. This tale transport you to a place of fun and frolic that promises to be everything the highway billboards told you it would be… if you make it out alive. “World’s Best School Psychologist” written by CreepyCarbs and performed by Joseph Gable, featuring Steve Taylor and the Simply Scary Podcast cast. Production and score by Jesse Cornett. In this tale, we introduce you to a school administrator whose good intentions for the well-being of students may be questionable at best. “Darren” written by Benny Harrington and performed by Steve Gray, featuring Aiden, Aaron and Heather Ordover, and the Simply Scary Podcast cast. Production and score by Jesse Cornett. Meet Darren. He’s like any other sheltered child today, except his home life leaves a bit to be desired. His mannerisms are a little off as well, and as you get to know the young man a little better, you too will come to know just how much evil can exist in such an unassuming, yet creepy little package. Can you add a trigger warning about the eating disorder story? In a way, you just did that exact thing yourself! GAVE ME GOOSEBUMPS AS I WAS WORKING! LOVED THIS SO MUCH!